Do you like tomato cabbage? Would you like if your name was Excellento Superito Koriolane? Would you feel good if they lock into a cage and would point fingers at you? No? 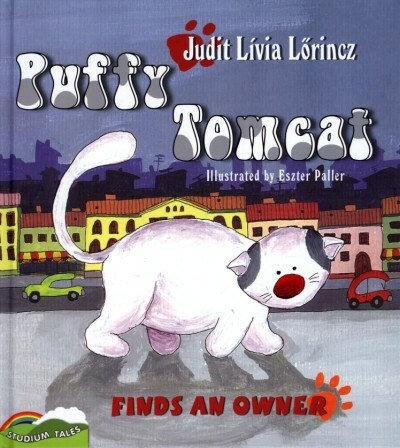 Well… it seems you are the soulmate of Puffy tomcat, the white cat whose owner makes him to be on a diet to win a prize at the cat show. But the cat breeder is working hard vainly, thanks to a friendly butcher; Puffy stays puffy and does not get into the best ones because of his excess weight. Soon he finds himself on the street. Whether he has to live without friends like a stray cat or he manages to find a new home depends on his neatness, endurance and Jonathan.